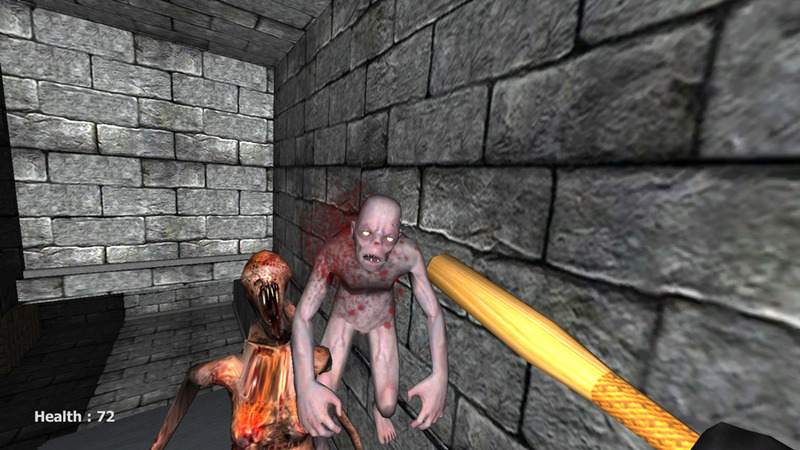 "A zombie filled first person shooter!" 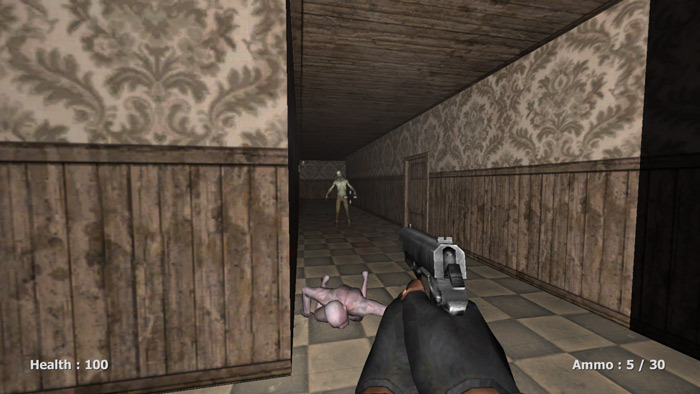 Shoot Your Nightmare is a game developed by Poison games which is a first person shooter although at points you also get to use a baseball bat to smash some zombie heads, if that kind of thing floats your boat! If you are looking for a free mindless shooter then it is kind of fun but the graphics are a bit rough around the edges and some of the zombie animations look a bit weird and stretched out also the back ground animations are not particularly spectacular, the calibration of the mouse seemed off at certain points and opening and closing objects such as chests of drawers and wardrobes can be quite difficult. For its flaws there is a lot of game here considering that it is free and there is a huge amount of levels, you can even play as a monster at some points and there is a wide variety of weapons that can be collected and the weapon reloading animation is pretty cool. Sometimes the zombies and monsters will creep up on you and the only warning you will have is noticing your health going down so you must remain vigilant and watch out for those sneaky zombies! If you want to let out some frustration and are looking for a free and easy game that does not require much brain power, but like a game with a lot of fire power then you will probably enjoy this a lot but don’t go in to it with too high expectations. You can download Shoot Your Nightmare here for free.